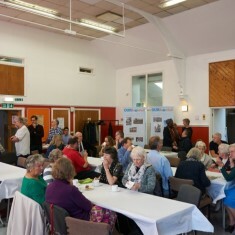 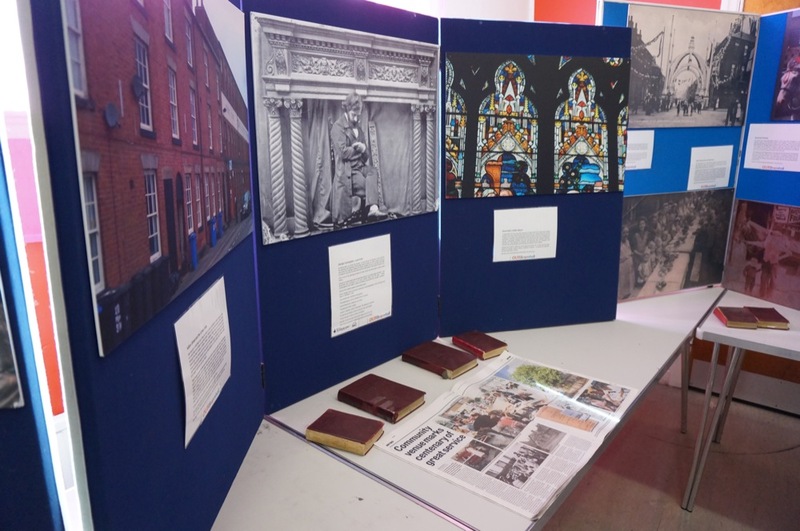 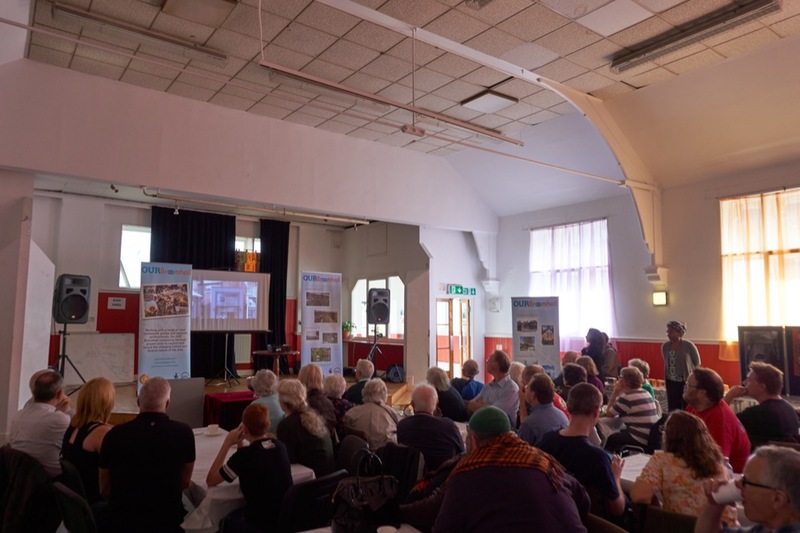 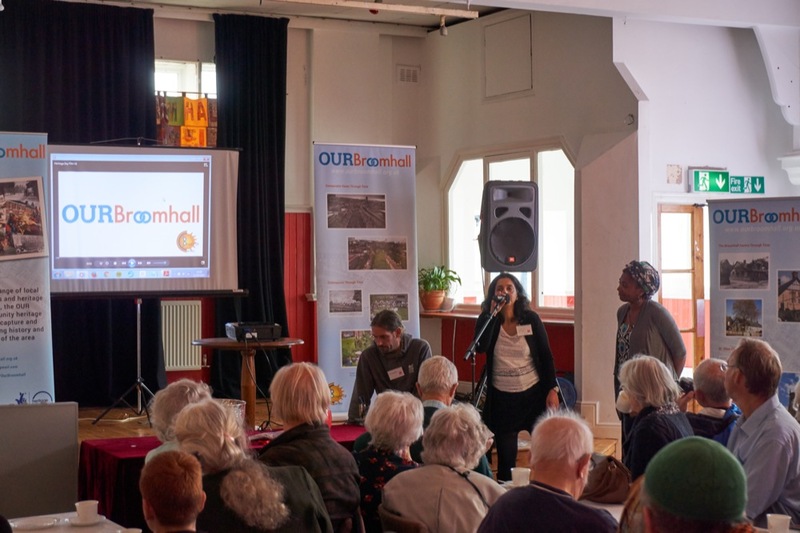 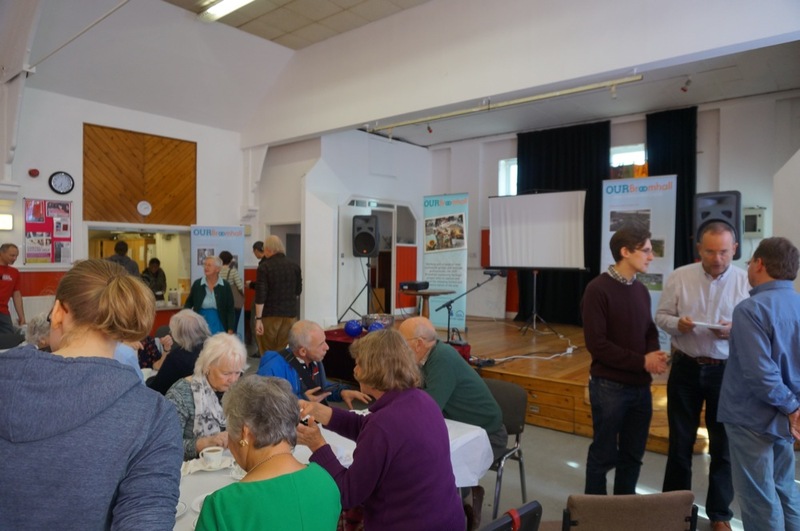 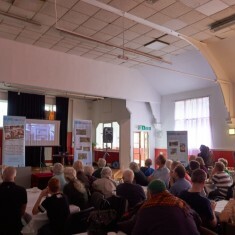 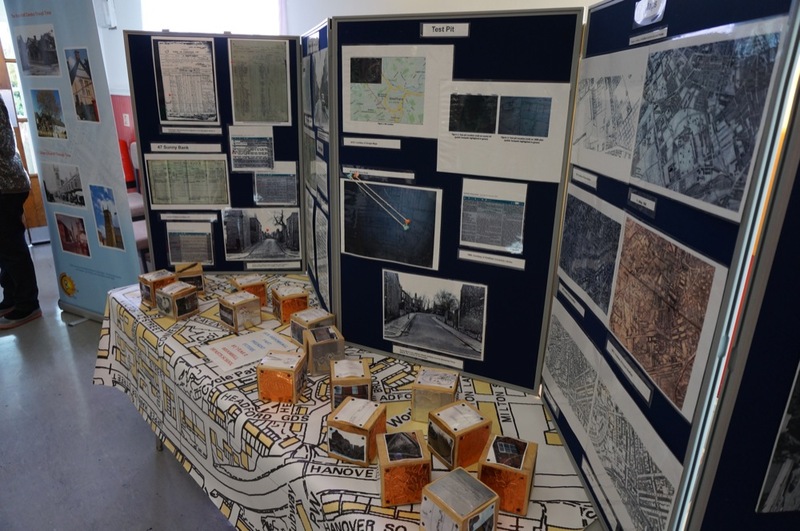 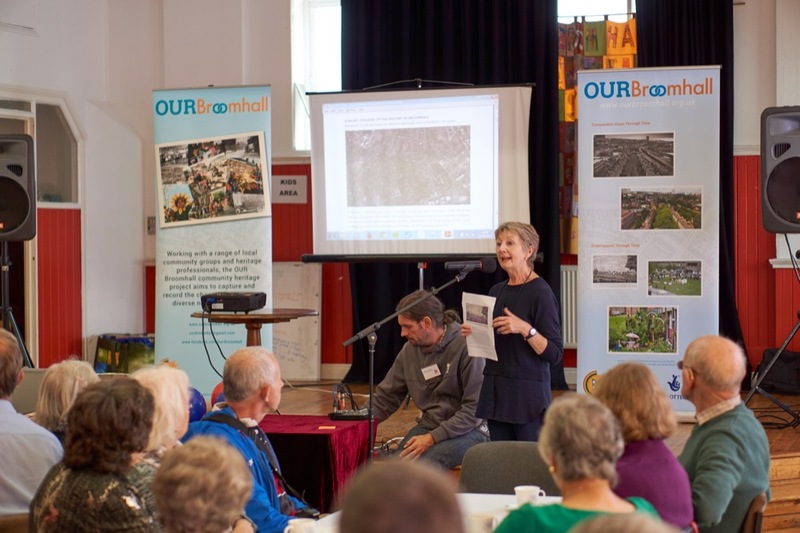 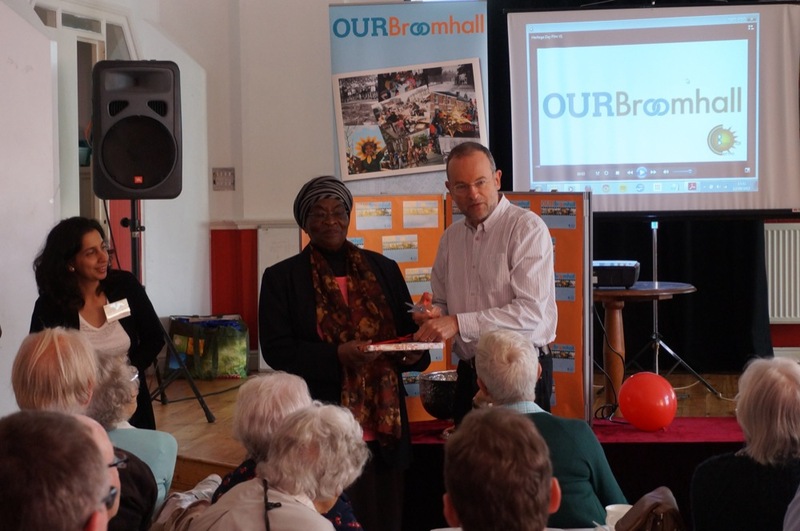 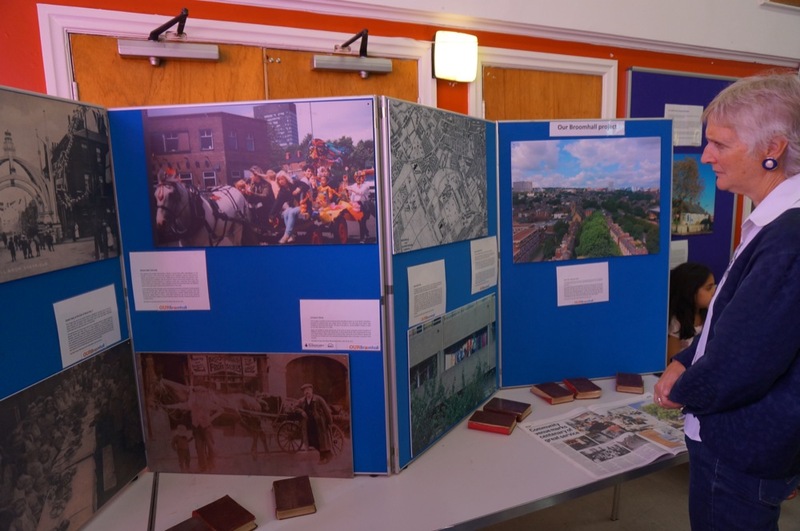 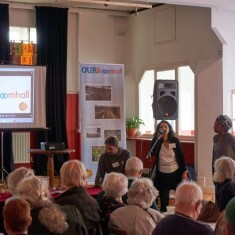 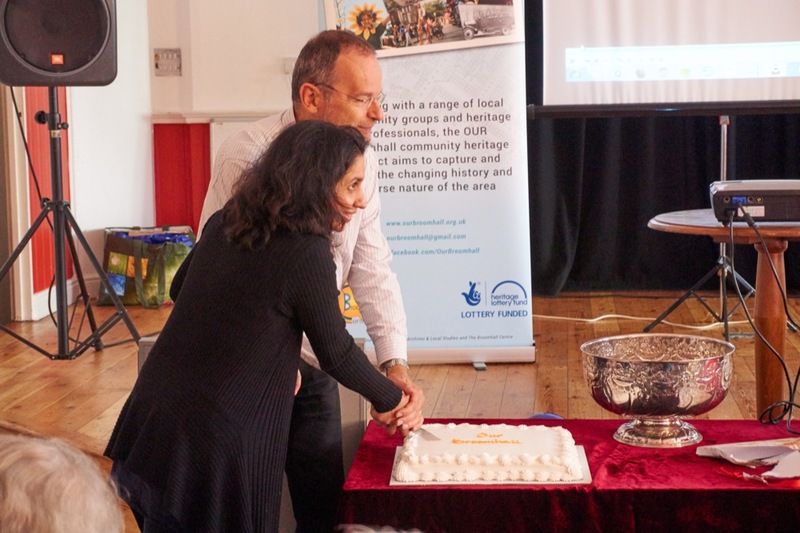 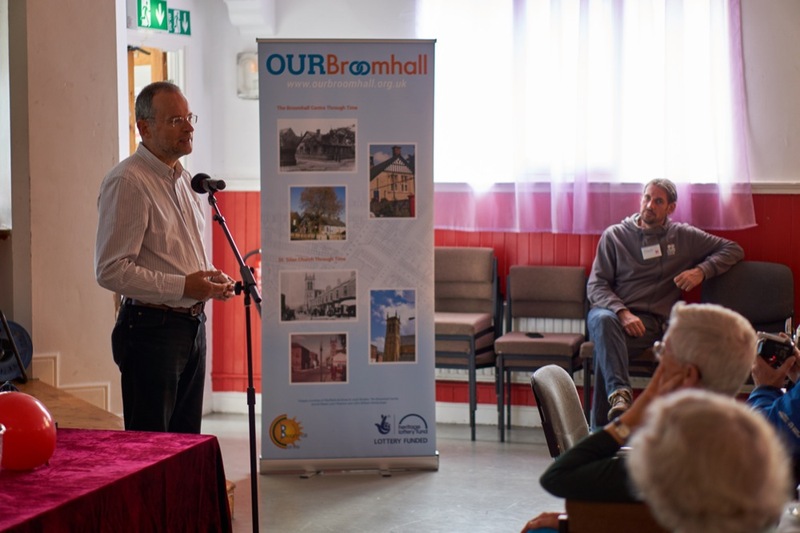 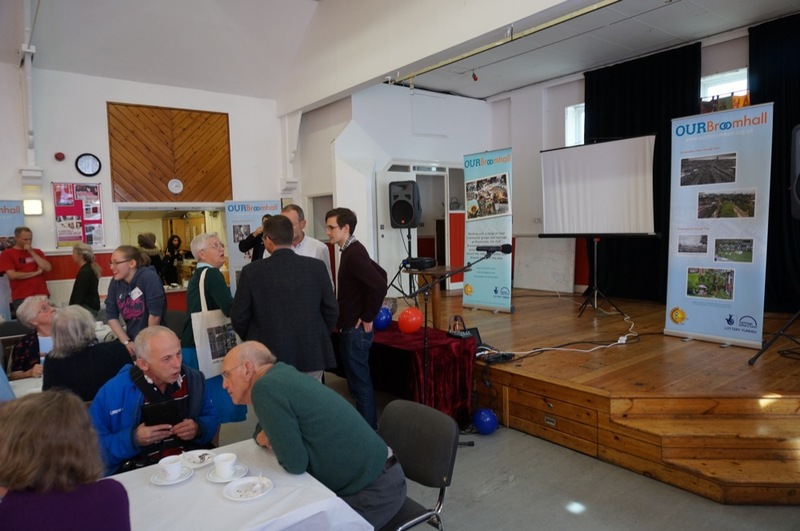 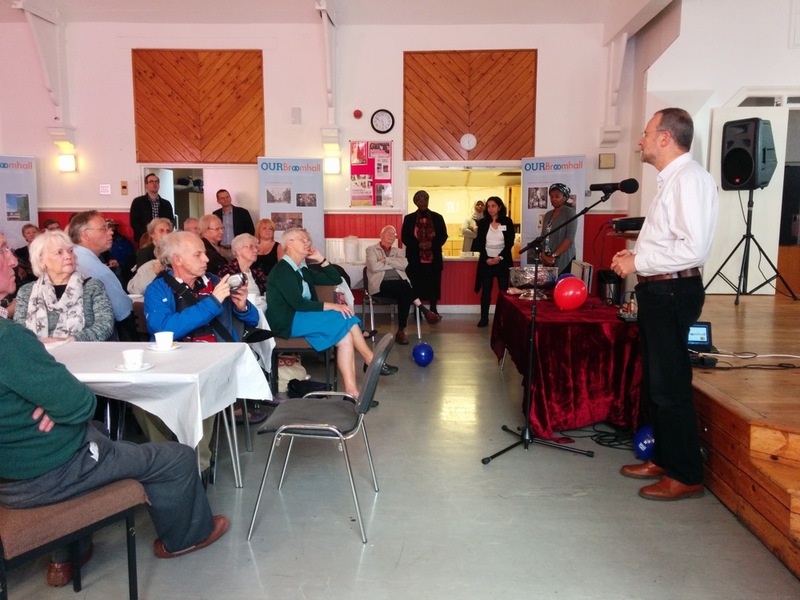 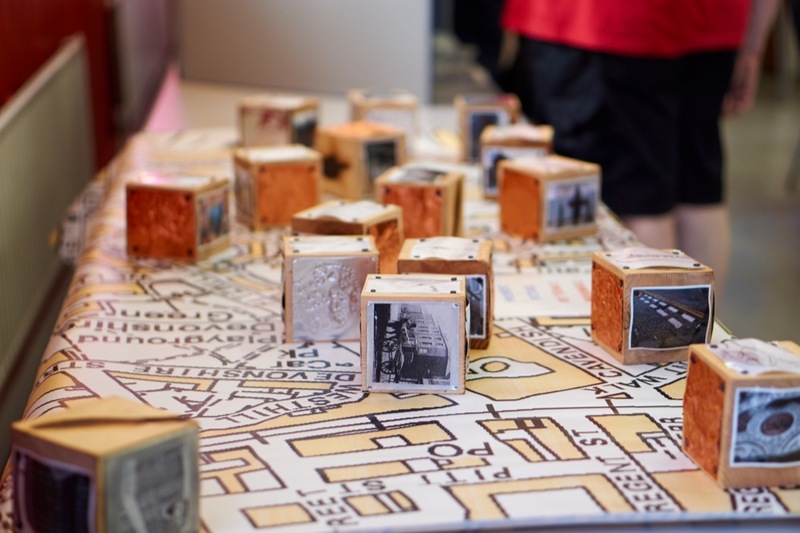 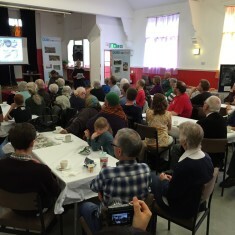 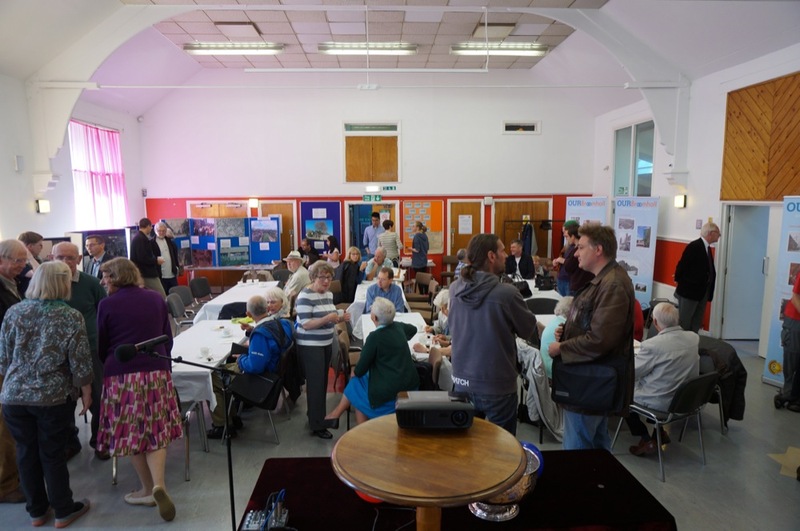 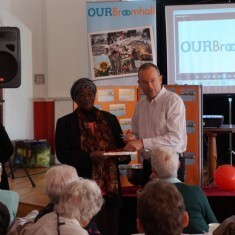 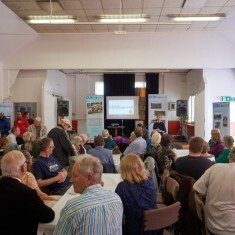 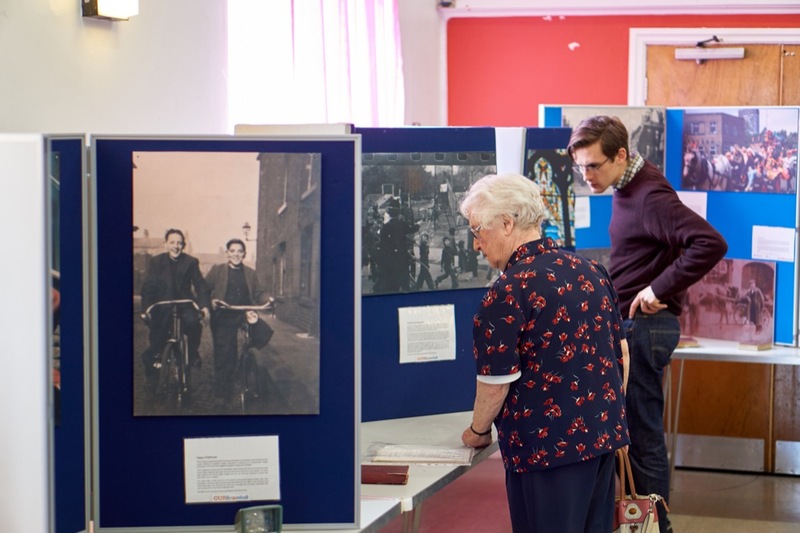 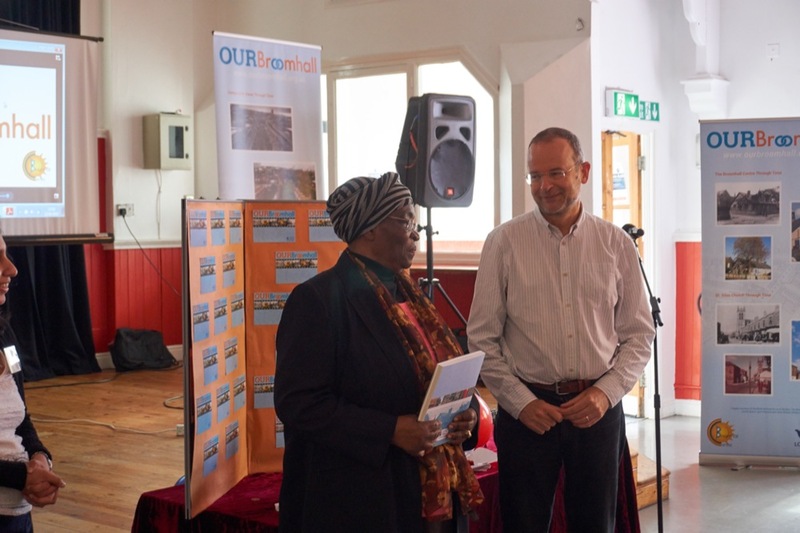 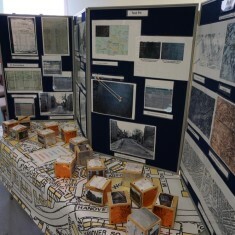 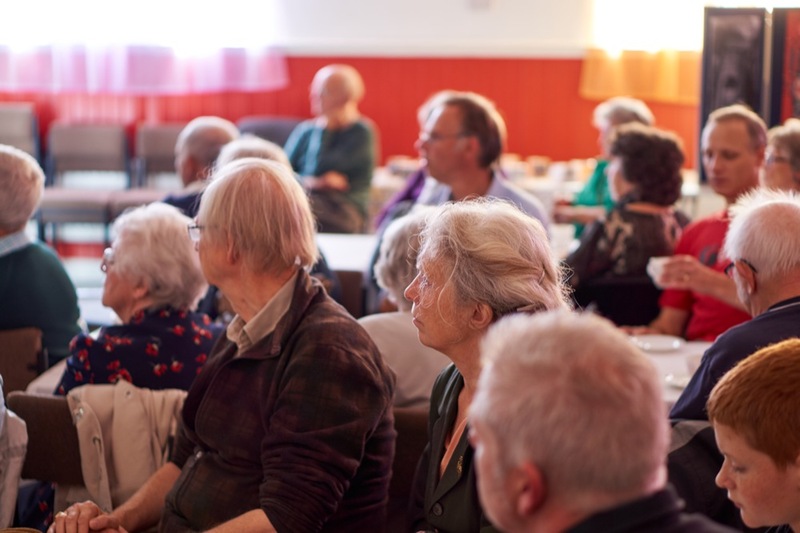 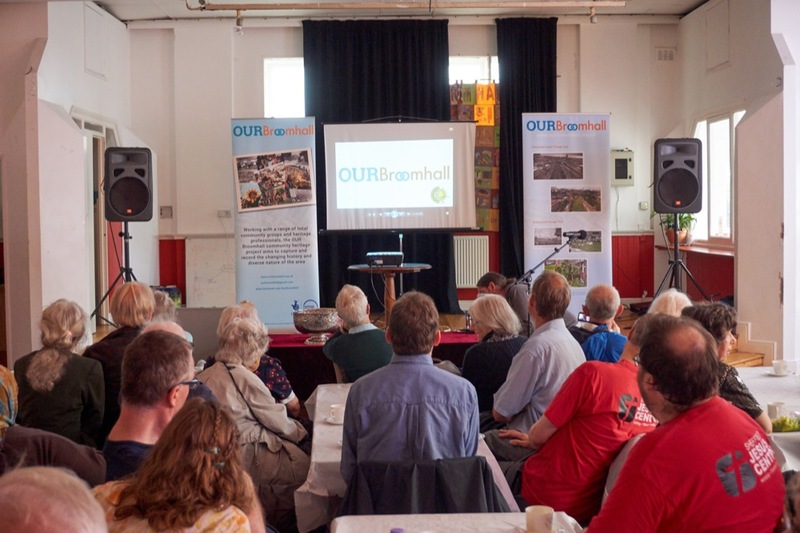 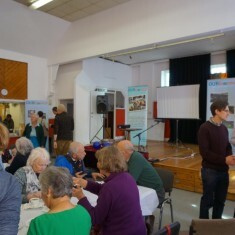 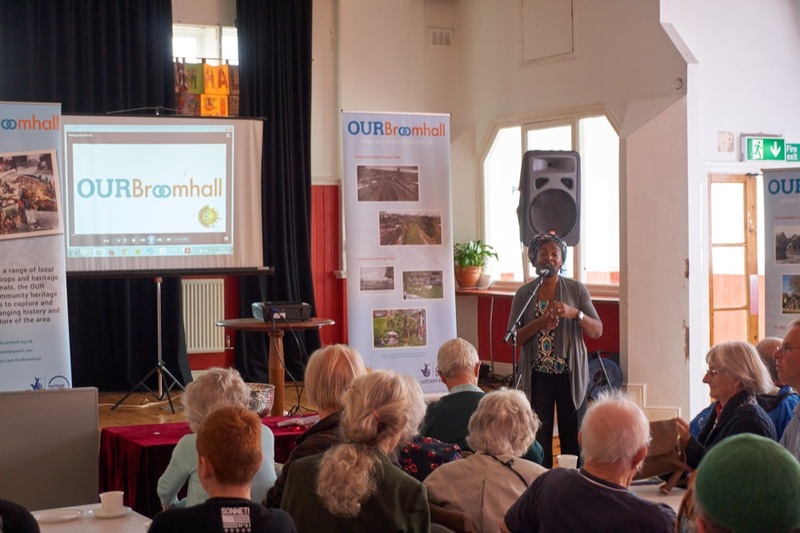 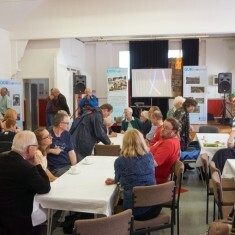 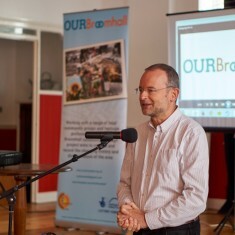 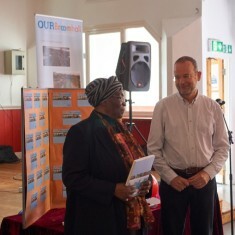 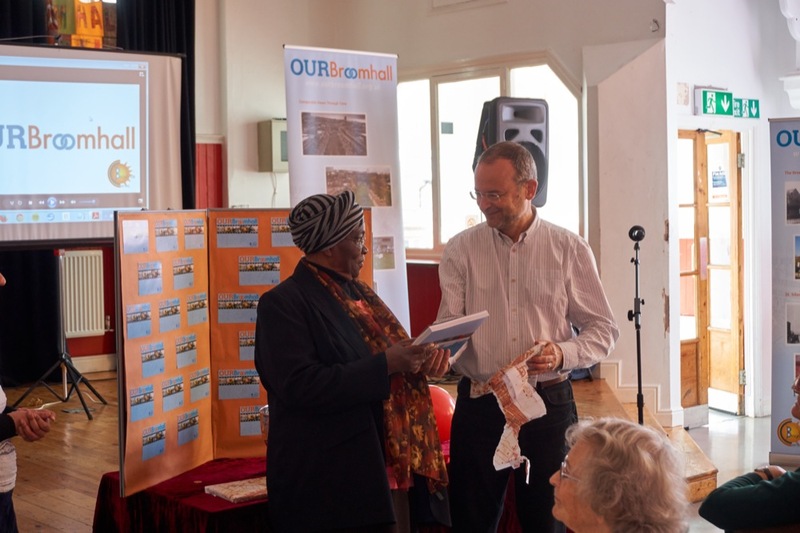 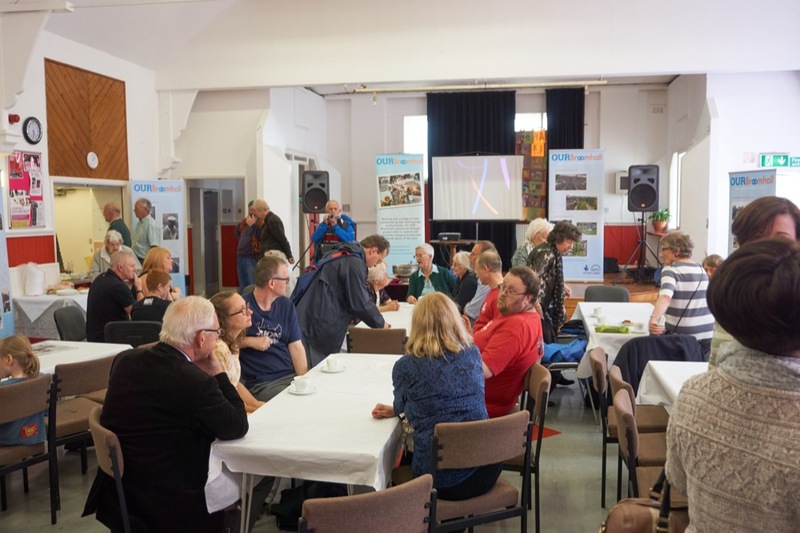 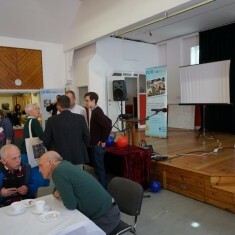 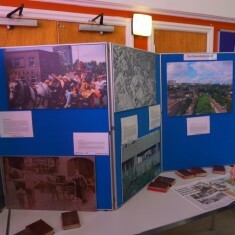 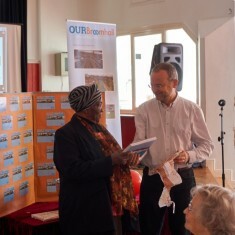 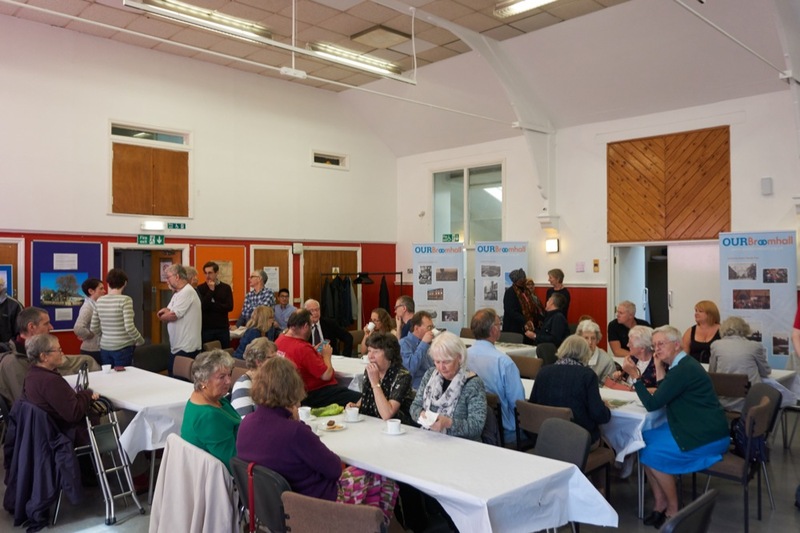 The Our Broomhall Project held a well-attended event on Saturday 12th September 2015 at the Broomhall Centre, to celebrate the launch of the project book: “Our Broomhall: A History of a Community Centre in a Sheffield Neighbourhood”. 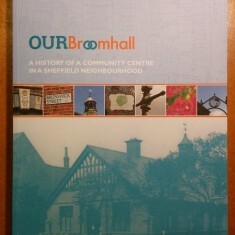 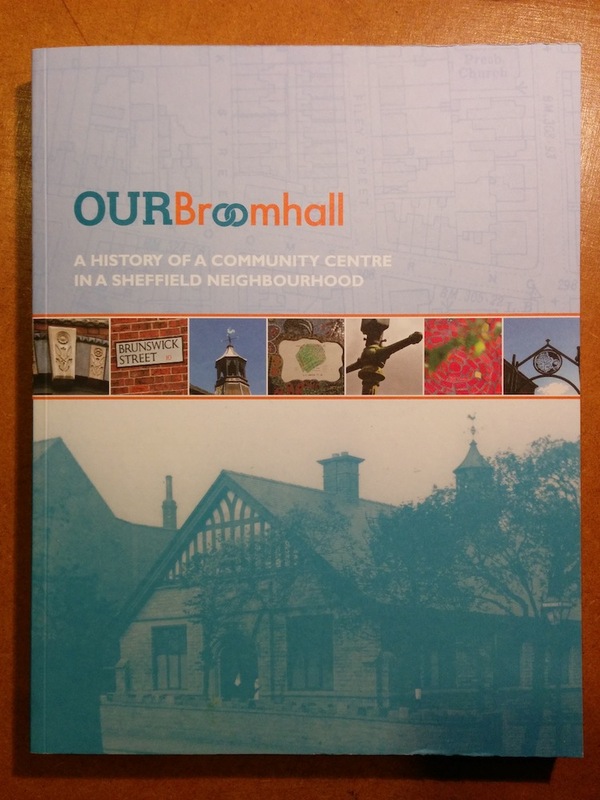 This beautifully presented 200 page book showcases the fascinating story of the Centre, which has now been at the heart of the Broomhall community for over 100 years. 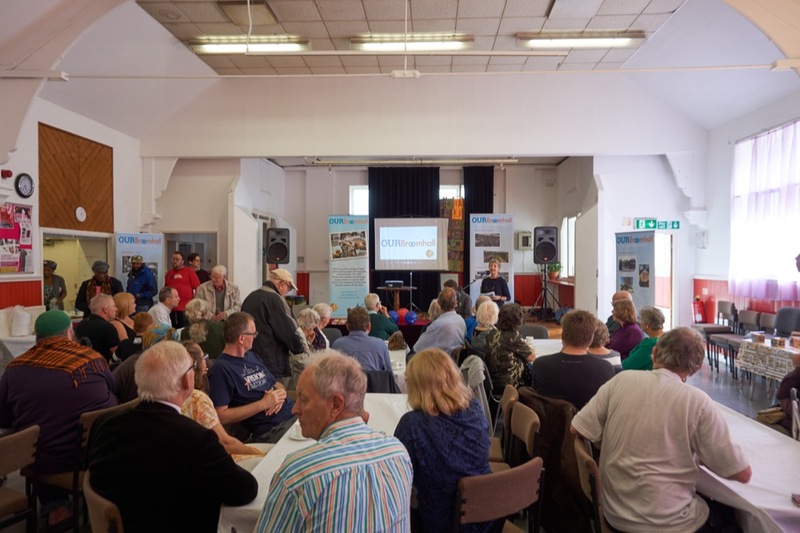 The event was staged as part of that weekend’s ‘Heritage Open Day’ series of events, and was a great success, welcoming for one final time many of the Project’s contributors and volunteers (without whom it would not have been such a success!). 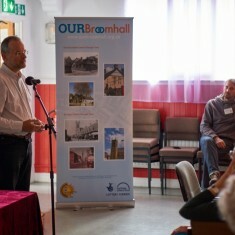 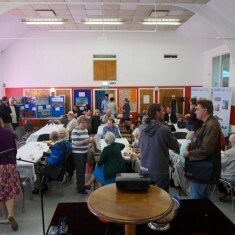 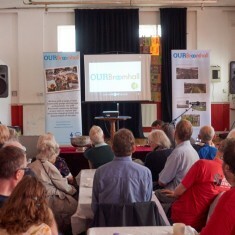 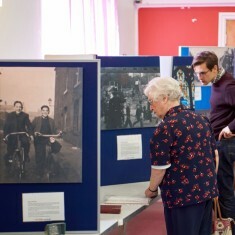 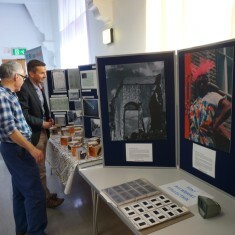 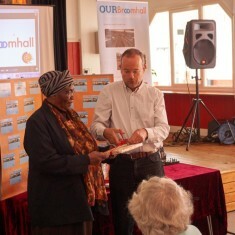 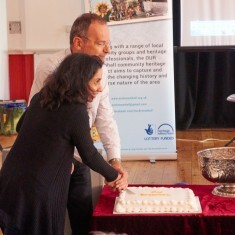 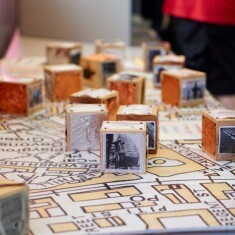 An afternoon of tea, cakes and nostalgia also looked back on the successes achieved through the Our Broomhall Project. 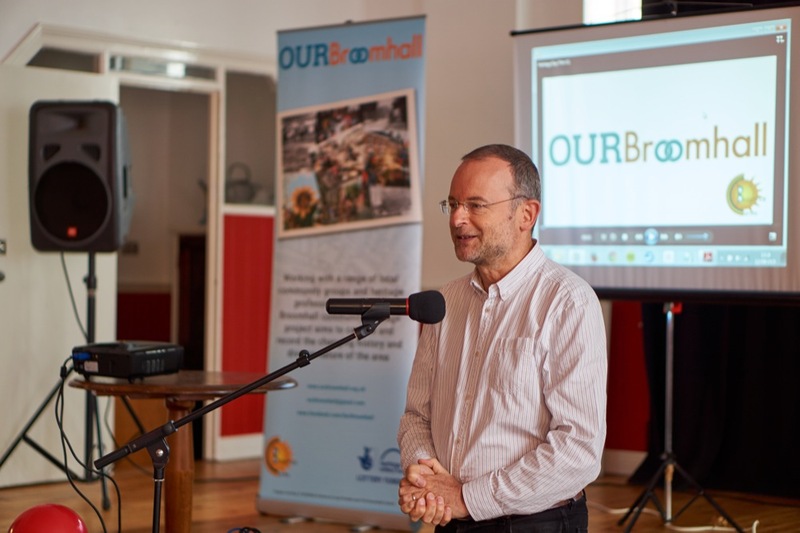 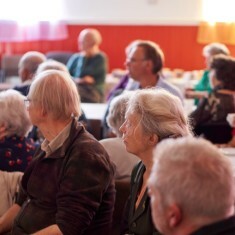 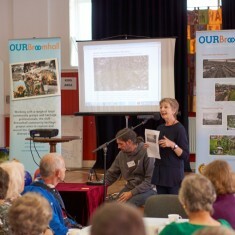 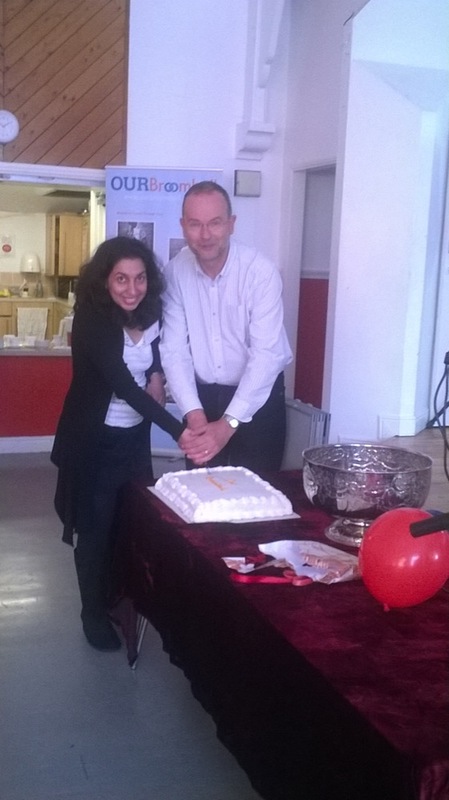 There were readings and speeches by Maggie Wykes (Chair of the Broomhall Centre Board) and Paul Blomfield (M.P. 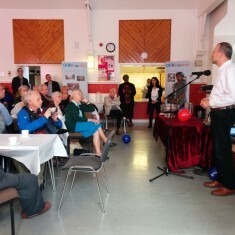 for Sheffield Central). 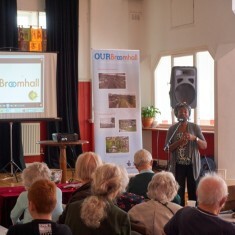 A speech then followed from Susi Miller (the current Broomhall Centre Manager) who thanked all the volunteers from the Our Broomhall Project for their hard work in putting the event on, and taking part in the Project. 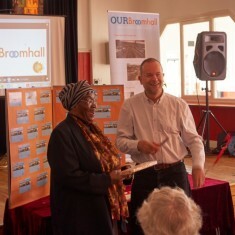 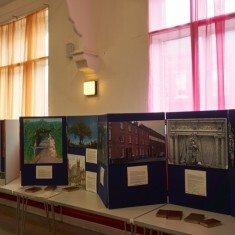 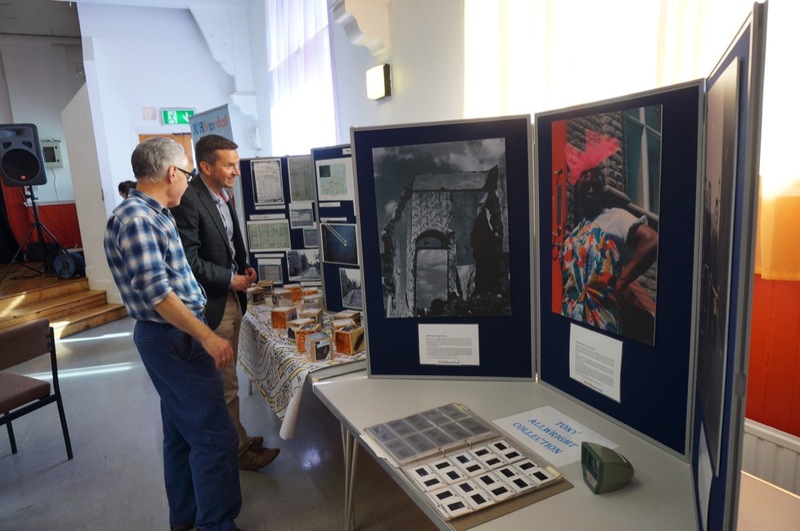 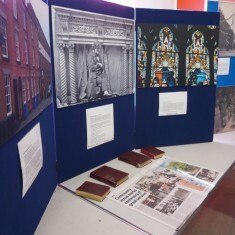 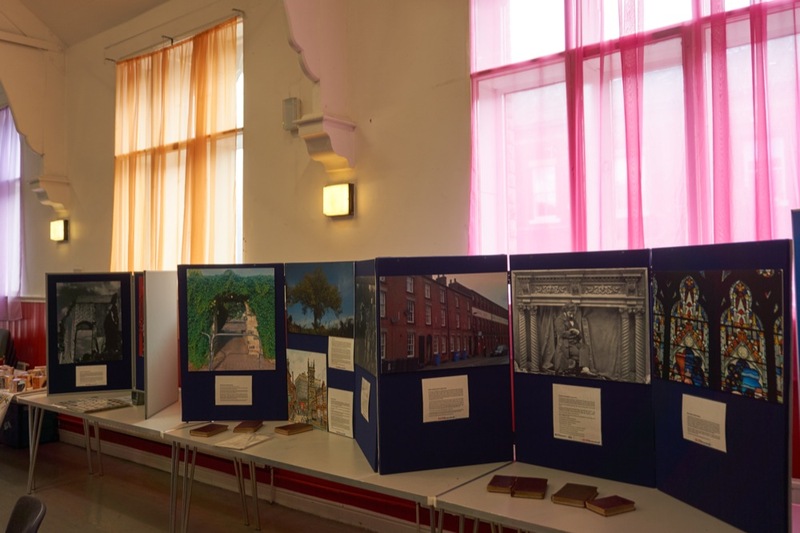 People were free to look around at the Our Broomhall Exhibition, catch up with familiar faces, enjoy the refreshments and collect their copy of the Our Broomhall book. 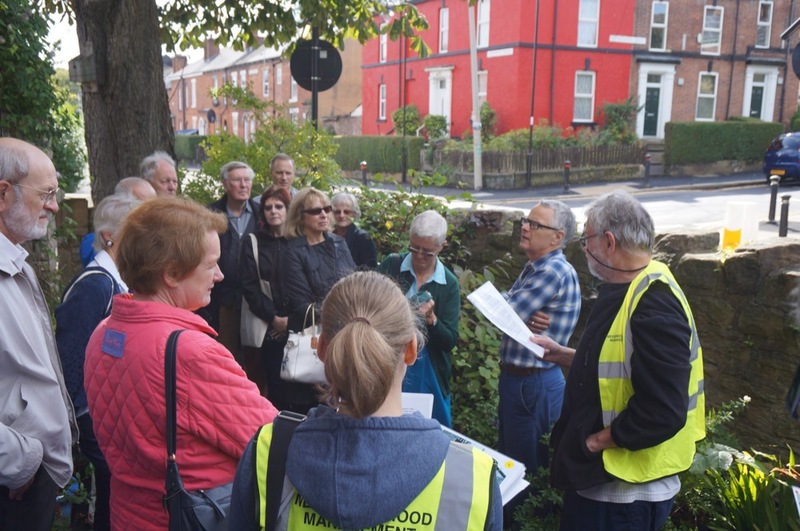 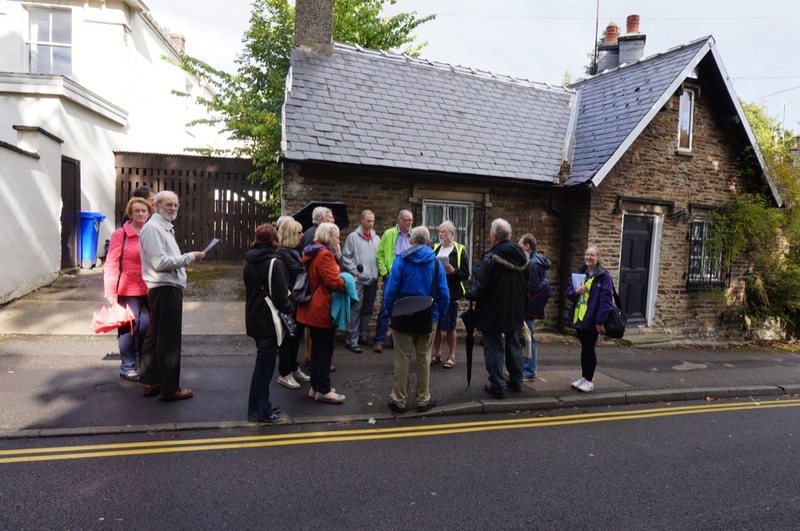 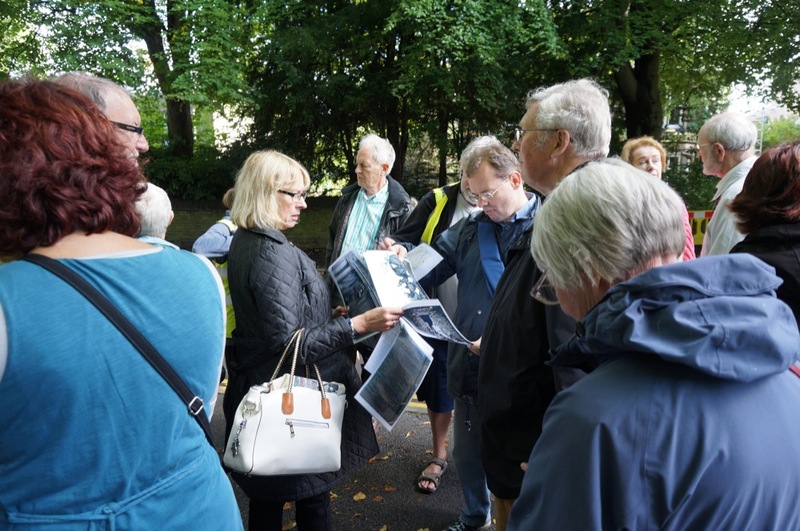 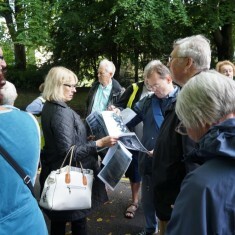 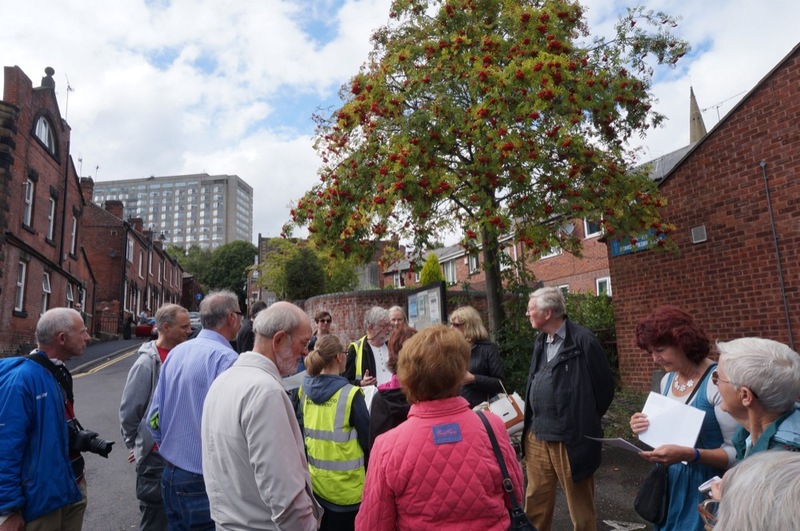 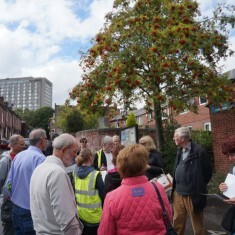 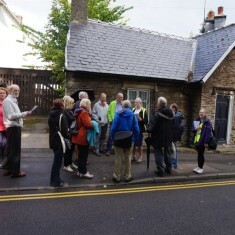 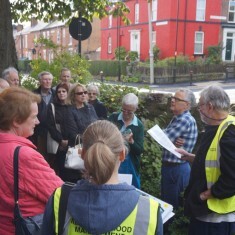 The event also included a popular ‘Heritage Walk’ around Broomhall guided by Roger Manktelow, during which he highlighted some of the many interesting facts about the area that the project has uncovered. 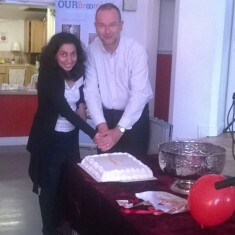 Jennie Beard, Nivrrithi Chhabria, Richard Freeston, Roger Manktelow, May Seo, Chris Richardson, Jonathan Bairstow, Susi Miller, Joey Xu, Gemma Clarke, Jim Cowley, Maggie Wykes, Paul Blomfield and Mavis Hamilton. 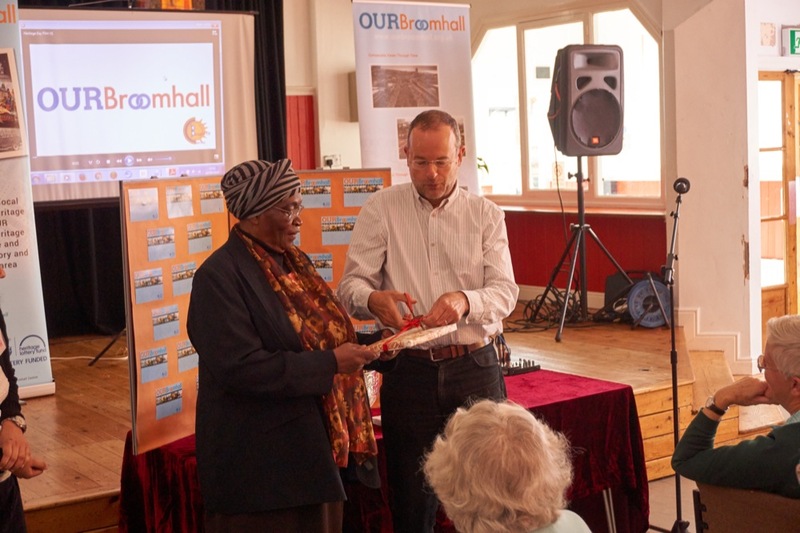 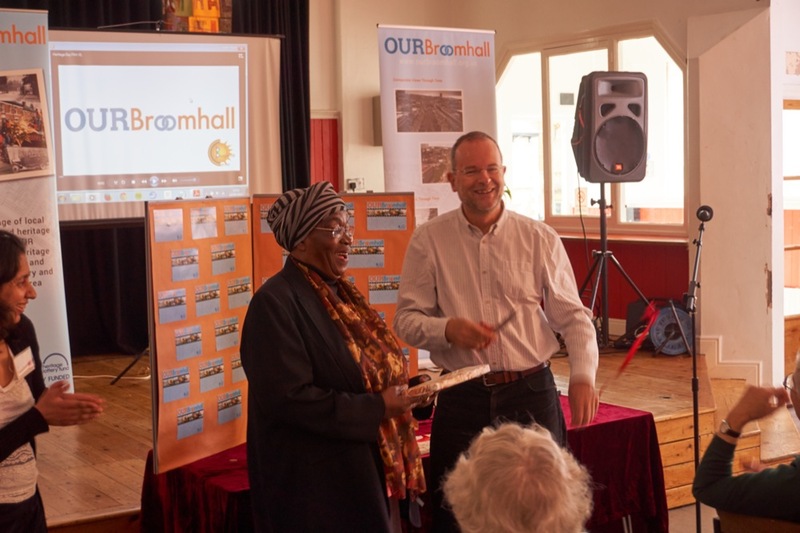 These photos of the day’s events clearly show what a great success it was; testimony to just how much Broomhall’s residents both past and present have embraced this hugely rewarding project. 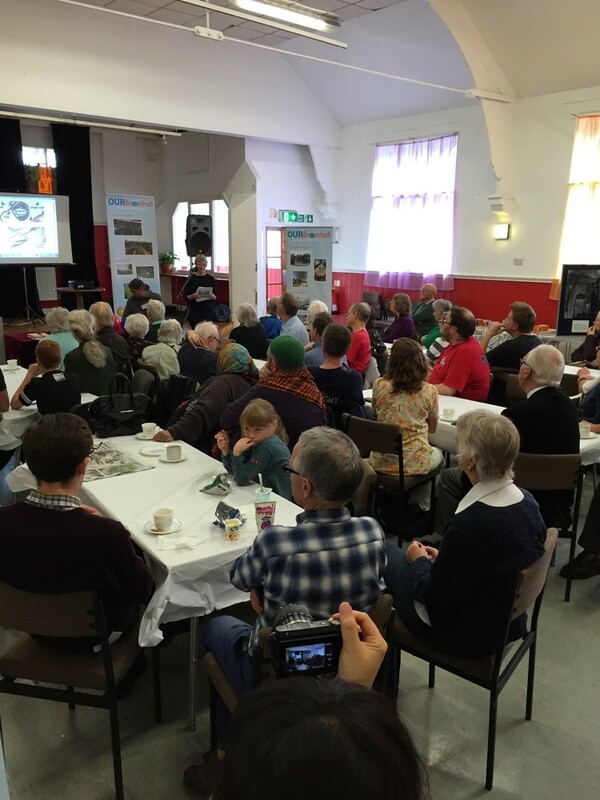 This page was added by Gemma Clarke on 10/11/2015.